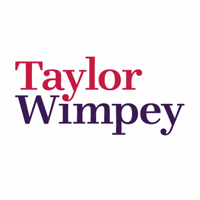 The share price for Taylor Wimpey plc with EPIC code: LON:TW has risen 4.09% or 6.35 points in today’s trading session so far. Market buyers have stayed positive during this period. The periods high has already touched 161.85 dropping as low as 157.05. The amount of shares exchanged has so far reached 12,946,450 with the average number of shares traded daily being 17,917,097. The stock 52 week high is 206.2 around 50.95 points difference from the previous days close and putting the 52 week low at 127.8 which is a variance of 27.45 points. Taylor Wimpey plc now has a 20 SMA of 143.6 with a 50 day simple moving average now of 146.54. The market capitalisation currently stands at £5,299.14m at the time of this report. The share price is in Great British pence. Mcap is measured in GBP. This article was written with the last trade for Taylor Wimpey plc being recorded at Wednesday, January 16, 2019 at 12:02:27 PM GMT with the stock price trading at 161.6 GBX. The share price for TUI AG ticker code: LON:TUI has climbed 1.12% or 13 points during today’s session so far. Investors have so far held a positive outlook throughout the session. The periods high has already touched 1175 and hitting a low of 1157.5. The volume total for shares traded up to this point was 251,138 while the average shares exchanged is 1,880,210. The stock 52 week high is 1816 equating to 657.5 points different to the previous business close and a 52 week low sitting at 1075 a difference of some 83.5 points. TUI AG now has a 20 SMA of 1167.47 and a 50 day MA at 1201.93. The current market capitalisation is £7,766.02m at the time of this report. The currency for this stock is GBX. Market cap is measured in GBP. This article was written with the last trade for TUI AG being recorded at Wednesday, January 16, 2019 at 12:02:09 PM GMT with the stock price trading at 1171.5 GBX. Shares in United Utilities Group PLC company symbol: LON:UU has moved up 1.29% or 10 points throughout today’s trading session so far. Traders have remained optimistic during the session. Range high for the period has seen 786.6 dropping as low as 769. The amount of shares exchanged has so far reached 334,174 while the daily average number of shares exchanged is 2,456,421. The 52 week high for the shares is 826 which is 50.6 points difference from the previous days close and the 52 week low at 648.6 is a variance of 126.8 points. United Utilities Group PLC has a 20 day moving average of 759.26 and also a 50 day moving average of 766.82. The current market cap is £5,355.55m at the time of this report. The share price is in Great British pence. Mcap is measured in GBP. 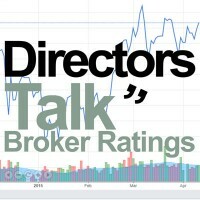 This article was written with the last trade for United Utilities Group PLC being recorded at Wednesday, January 16, 2019 at 12:02:13 PM GMT with the stock price trading at 785.4 GBX. Click TUI TW UU for the full archive.